Consumers have grown quite savvy when it comes to the art of gift-giving. There was a time when it was “the thought that counts,” which often led to frantic last-minute shopping trips for generic, boring trinkets. With the advent of digitally printable media like LexJet Sunset by Fredrix Matte Canvas or EnduraFab Stretch, customization has become one of the easiest ways to give meaningful gifts that express individuality and creativity. Print service providers can help customers take ideas and turn them into personal, heartfelt pieces, creating a one-of-a-kind gift that will likely stay in the family for generations. 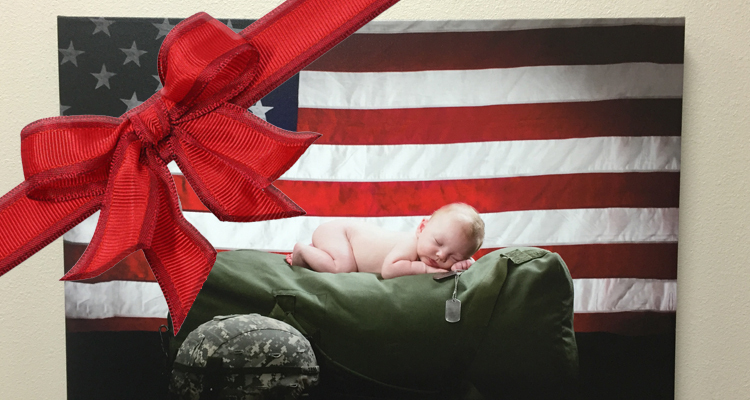 With such a thoughtful gift, why let the customer wrap it in store-bought wrapping paper? Take them on a fully customized journey: from the heart on the inside to the art on the outside. HP Satin Wrapping Paper provides a completely unique gift-giving experience for your customers by adding text and images to the sturdy, satin-finished paper. 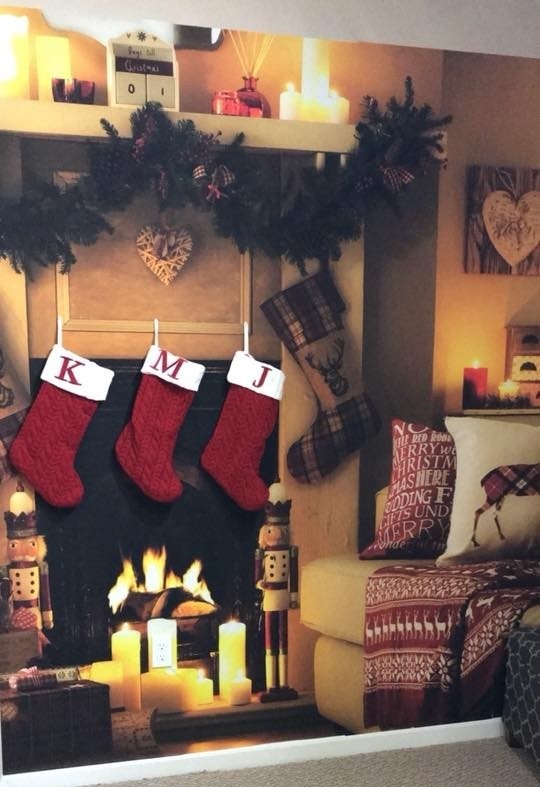 Imagine wrapping a Christmas gift with paper that shows the kids’ evolution of Santa pictures through the years, or the fun and quirky dating history of a couple who will be celebrating their first holiday season as newlyweds. Christmas and Hanukkah are right around the corner, with Valentine’s Day shortly thereafter, all of which means customized requests are sure to begin soon, if they haven’t already. Don’t miss out on the opportunity to make your customer the family hero by partnering the ultimate customized wrapping paper with the ultimate customized gift. This versatile FSC®-certified paper is not only the perfect add-on for customized holiday orders, but it is also ideal for year-round POP and poster printing because it drys quickly – which reduces smudging – and stays intact when handling. 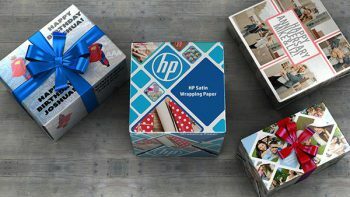 HP Satin Wrapping Paper comes in 500-foot rolls that can be used with HP Latex, PageWide and Z-series production printers, and 30-in x 150-foot rolls, that can be used on smaller aqueous printers. Another fun customization idea comes from Kathy Ogg of Re-Image Printing. This room looks like a warm and cozy scene, but you won’t find many fireplaces in Ogg’s Florida town. Instead, she used LexJet Print-N-Stick Fabric to print the holly-jolly wall mural, pictured at left. “The only things actually 3-dimensional on this wall are the K, M and J stockings,” she says. Print-N-Stick is available in aqueous and solvent-compatible versions, and is a fast and easy solution that goes up easily and comes down without leaving any residue behind. If you have any questions about customized printing, call your LexJet sales representative at 800-453-9538 or visit us at LexJet.com. A Georgia native, Jen moved to the Sarasota area and started with LexJet in 2008. She's had the opportunity to work in several facets of the company including sales, product management and supply chain. Combining years of experience and knowledge, she writes about new and trending products, customer success stories and innovative industry applications.